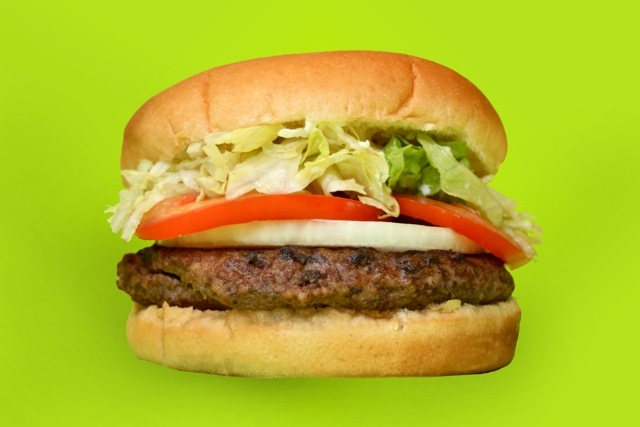 A quarter pound of 100% beef served on a toasted bun with mayo, fresh cut lettuce, tomato, and onions for only $2.59. Add cheese for only .30 extra! 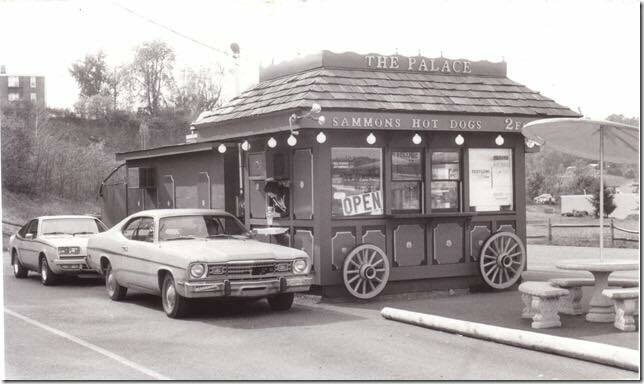 The Original Sammons Hot Dog...served with mustard, fresh diced onions, and our own secret recipe Chili on a steamed bun for 1.45. Add Kraut or Cole Slaw as additional toppings for only 30 cents each...add Jalapenos or Sweet Relish for only 15 cents each! Served with mustard, fresh diced onions, and our own secret recipe Chili on steamed bun. 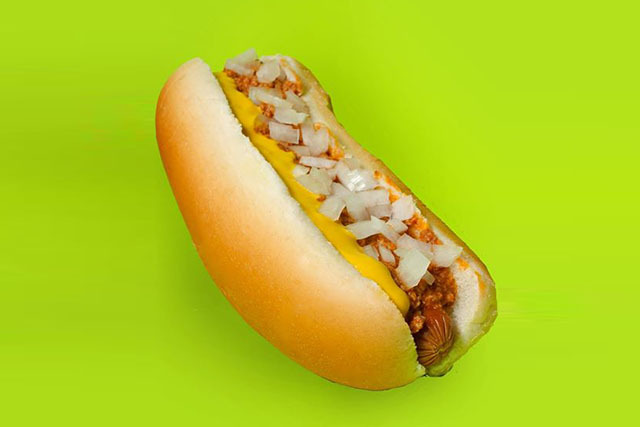 We offer Kraut, Cole Slaw, Sweet Relish, and Jalapenos as additional toppings. A steamed bun served with mustard, fresh diced onions, and extra chili. Since 1950, our tomatoes, onions, and lettuce are fresh cut daily. Our bread is delivered fresh five days a week. All our produce is fresh, never prepackaged. Don't forget to try our famous Cole slaw...a Sammons recipe made daily! A “slider” served on a steamed roll with mustard, pickle, and fresh diced onions. A quarter pound of 100% beef served on a toasted bun with mayo, fresh cut lettuce, tomato, and onions. Also available as a half-pound double. With or without cheese. 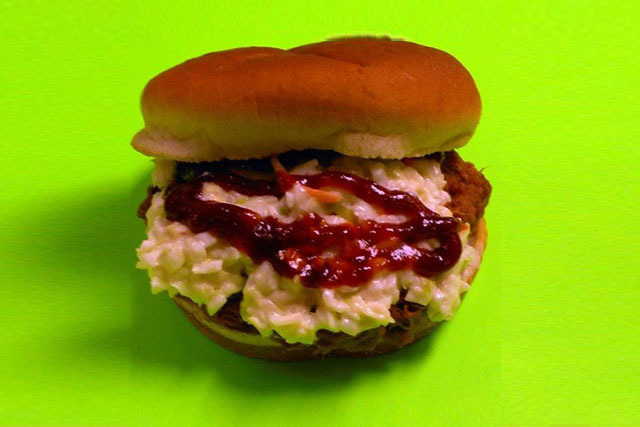 Carolina pulled pork bbq with a sweet bbq sauce topped with our Cole Slaw served on a toasted bun. A “slider” of Carolina pulled pork bbq with a sweet bbq sauce topped with our Cole Slaw served on a steamed roll. All white meat patty marinated in a flavorful blend of dill, garlic, celery and onion, then coated with a tender flaky breading, deep fried and topped with fresh lettuce, tomato and mayo that brings one of the most popular chicken tastes in the South to Elizabethon. Made fresh daily with cabbage, carrots, and a premium dressing with a hint of sugar. Coated with a spicy seasoning that’s not too bold but just right. Diced potatoes and cheddar cheese deep fried until they are crispy and golden brown. Tea is freshly brewed throughout the day. Available in sweet and unsweet. Tea is available regular or with Peach syrup added. Available in ½ gallon. Pepsi, Diet Pepsi, Mountain Dew, Diet Mountain Dew, Dr. Pepper, and Twist Mist. Hand squeezed daily, available in sweet and diet. We also sell strawberry lemonade. Available in ½ gallon. Doran added a four-burner hot plate unit and then took two hot water style home canners, flipped the racks upside down and fitted a layer of chicken wire to keep the buns above the water. Thus, the trademark “steamed” bun was born. Throughout the years the process has continued to be perfected. The first cash register was a Hav-A-Tampa cigar box to hold the bills, and a hollowed out piece of rectangular wood with four holes to hold the coins. His concept proved wildly popular. He sold 180,000 hot dogs his first year for only 10 cents each. An average day’s sales was 100 to 120 dozen hot dogs. They were so popular that when diners finished, they didn’t always properly dispose of their wrappers. In response the street sweepers had to come down Elk Avenue every Friday and Saturday night because of the white tissue paper that littered the street. Hamburgers were added to the menu in 1961. The first location was 407 East Elk Avenue which operated from 1950 to 1978. “The Hole in the Wall” was transformed into a sit down eating establishment in 1971 as a result of urban renewal. The down town location was closed in 1978 and a drive thru location was opened on Railroad Street that operated until 1999. A second location was opened on Highway 11E in 1987 and operated until 2015. 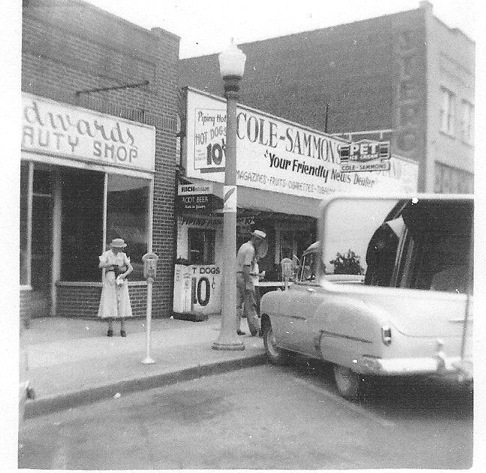 Sammons also operated on Main Street in downtown Johnson City during the early 1970s. The current location at 2020 West Elk Avenue was opened in 2000. Sammons was closed on August 13, 2016. Denise Sammons made the decision to close the restaurant to focus her time on her other business SOZO Life & Wellness. After an outpouring of calls and online messages from people within the community and across the U.S. the decision was made to reopen the restaurant. Sammons officially reopened on October 28, 2016. In October 2017, after 66 years of being family owned and operated, Sammons was sold to a new owner, Chris Davis. Chris is a Carter County native, a graduate of Elizabethton High School and ETSU. He has over 25 years’ experience in quick service restaurant management. The original menu is still available with the addition of Soft Serve ice cream, a Chicken sandwich, and Cheddar Tots.